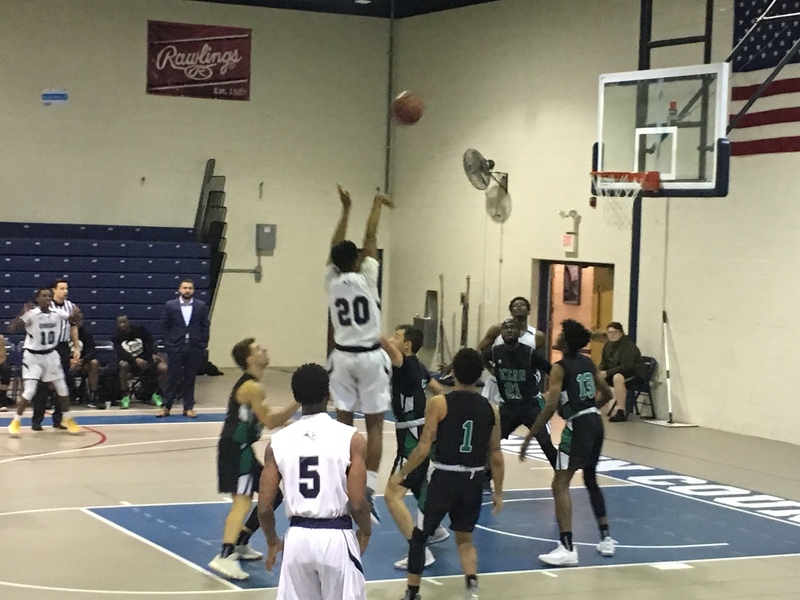 BLACKWOOD – The Camden County College Cougars defeated the Ocean County College Vikings 81-73 in men’s basketball on Saturday. Just before tipoff at the Joseph Papiano Memorial Gymnasium, the Cougars were setting their sights on continuing their hot start to the season and keeping their win streak alive. The first half was a display of good defense by the Cougars, holding their opponents to just 25 points. With the momentum in Camden County’s favor, the Cougars took a commanding lead of 15 points into halftime. Despite being down, the Vikings did not quit in this game. The Vikings showed signs of life after their slow first half. They put together a big second half, nearly doubling their first half score of 25. They got points by forcing turnovers and getting to the foul line. The Vikings had 44 free throws on the night but converted on only 25 of them. The Cougars came out of halftime with good energy, but the Vikings executed much better on defense, switching to a trap defense. At first, the Cougars were slowed down by the trap, but after a timeout, Coach Lou Abbattista made an adjustment that put the Cougars back on track offensively. The Cougars beat their first half score of 40 by dropping 41 second-half points. In total, the Cougars scored a season-high 81 points, beating their average of 67. With the Vikings’ hot second half, Ocean County cut the Cougars’ lead to just 6 with 31.6 seconds to go in regulation, making it much more interesting down the stretch. The Cougars held off Ocean County, much to the liking of the home crowd, who had been energetic since the start of the game. The Cougars dominated on the boards, securing a team total of 52 rebounds. They also topped Ocean County in assists with 27 of their 32 baskets coming off an assist. The win was the Cougars’ third in a row and brought the team’s record to 5-2.